The New York Giants are in an enviable position with the No. 2 selection in next week’s NFL Draft. They have an opportunity to trade down with a quarterback-needy team, picking up a bounty in return. The Giants can also decide to actually select an heir apparent to Eli Manning. Then, again taking the best player in the draft could very well be the end result here. 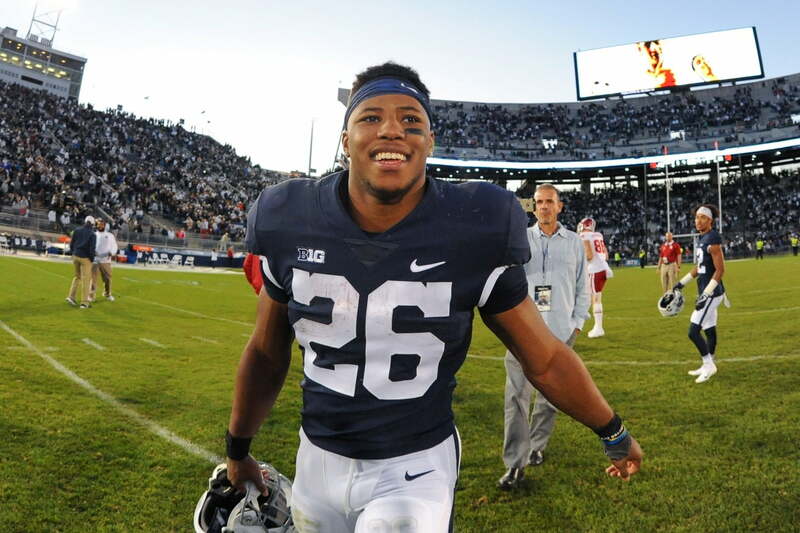 According to multiple whispers around the league’s water cooler, that would include New York nabbing former Penn State running back Saquon Barkley with the second overall pick. Todd McShay’s stance was then mirrored by Albert Breer of MMQB when he mocked Barkley to the Giants at two. If first-year Giants GM Dave Gettleman is viewing the No. 2 pick as a way to acquire a future Hall of Famer, either Barkley or former Notre Dame guard Quenton Nelson seem to be the surest bets. The issue here is that both play a position that’s not necessarily seen at a premium around the NFL. This is a clear indication that New York might very well be putting feelers out on Barkley to see what team might bite to move up for a quarterback a bit later in the top 10. Barkley is seen as a generational talent. Despite this, it seems hard to believe the Giants would select him at No. 2 without a clear attempt to move down a few spots.